The Delhi High Court Single Bench Justice Manmohan dismissed the suspended Bharatiya Janata Party MP Kirti Azad’s plea seeking a court-monitored CBI probe into the alleged high level of corruption in Delhi District Cricket Association (DDCA) or constitution of a Special Investigation Team to investigate into the mismanagement by the officials of DDCA. Senior Advocate Shri. Ram Jethmalani, who appeared for the petitioner pointed out that the fact-finding inquiry committee in its report has concluded that the magnitude and extent of improprieties, irregularities and misconduct committed by various officials is quite complicated, gigantic and it is up to the Executive Committee of the Association to take it to its logical conclusion. Referring to the report submitted by Justice (Retd.) Mukul Mudgal, Former Chief Justice Punjab & Haryana High Court, the petitioner contended that Justice (Retd.) Mukul Mudgal has held that the tendering system was not transparent in the past and there was poor record keeping and delay in payment of bills, and that allotment of corporate boxes and naming of the pavilions and stands need to be renewed as well as the other aspects i.e. finance/accounts wing, defunct sub-committees, ticketing etc. need to be re-examined. On the other hand, Mr.Neeraj Kishan Kaul, Additional Solicitor General for CBI contended that a preliminary inquiry has already been registered by the CBI in October, 2015 and the matter is under investigation. He also contended that the Writ Petition was pre-mature as the alleged malpractices pertain to the period 2008-2014. He stated that the CBI has asked for documents from DDCA and has received some of them. He further submitted before the court that 18 witnesses have been examined till date. Mr.Sanjay Jain, Additional Solicitor Jain, who appeared for Union of India contended that other sport bodies like DLTA have been given land at the concessional rate on the same basis and that the policy on the basis of which subsidized land has been made has not even been challenged in the writ petition. The Court was in agreement with the submission of Mr.Neeraj Kaul. Calling the plea premature, the court noted that the CBI has already begun a preliminary inquiry and needs to be given time. The High Court also said a Special Investigation Team as well as a court-monitored investigation should be ordered in the rarest of rare cases and not for the asking and that too, on the sole ground that the petitioner has an apprehension that CBI would not investigate the matter fairly as some of the allegations are directed against a sitting Union Minister. “Neither any basis for the apprehension nor any allegations against any official of the CBI have been made in the present writ petition. After all, CBI is a premier investigating agency and in the past, it has successfully investigated the conduct of various sitting ministers,” observed the Court. DDCA is the governing body of the Cricket activities in the Delhi state of India and the Delhi cricket team. It is affiliated to the Board of Control for Cricket in India. BJP MP Kirti Azad and Delhi Chief Minister Arvind Kejriwal have alleged corruption in DDCA against Union Finance Minister Arun Jaitley. 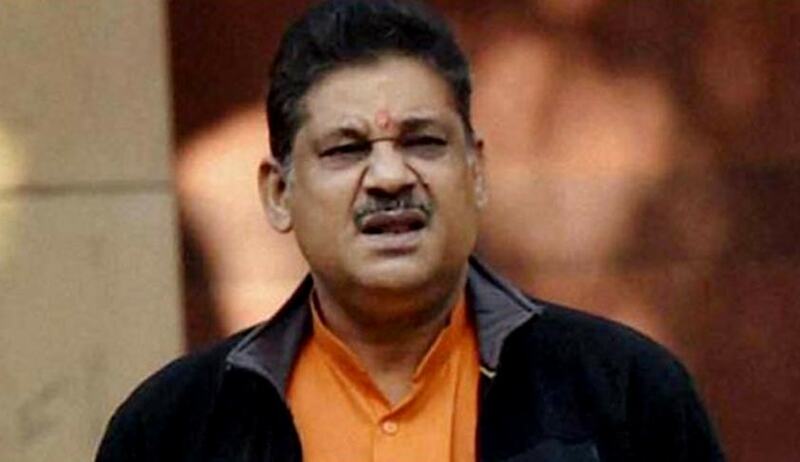 Kirti Azad is now suspended from the party for anti-party activities.